We are an expert Snow Ice Machine manufacturer, supplier and exporter, factory in Taiwan. We offer our customers a comprehensive range of products that match the strict quality requirements of International market which has earned our company the distinct reputation of being a quality oriented Exporter. Please contact us if you are free. 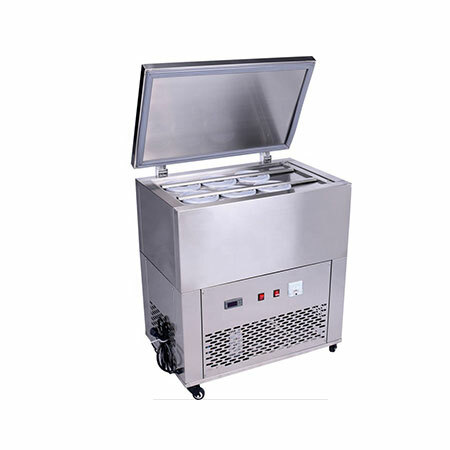 Snow ice machine is a necessary machine for making and selling snow ice serial products, with it only you could make snow ice blocks, there are two versions of it, 12 suckets and 16 suckets. once shaved by shaving machine, they are good to go.